The teacher pressed play, but we wouldn’t stop talking. It was 6th year of secondary school, and double religion class on a Friday afternoon. It wasn’t even a Leaving Cert subject, and besides, we all smelled the impending 4pm freedom. The film that day was The Way, directed by Emilio Estevez and starring both he and his father, the storied Martin Sheen. 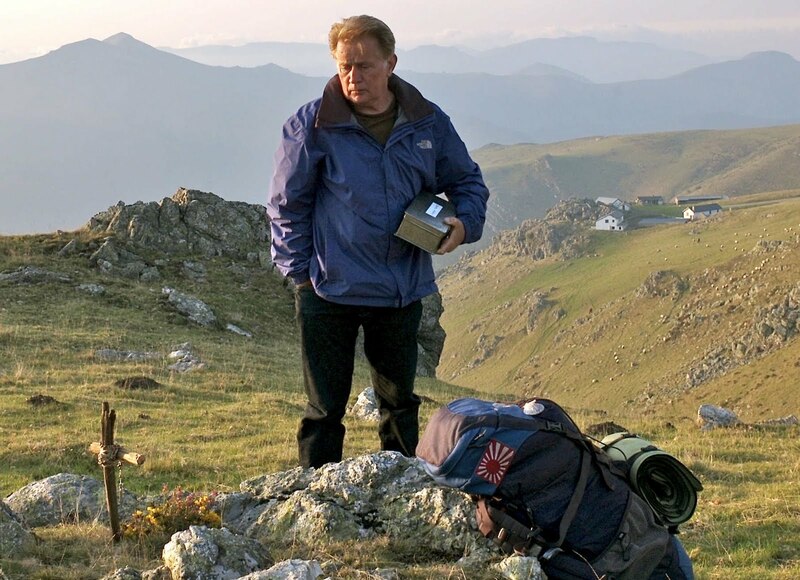 The synopsis didn’t sound too promising for a class of 18-year-olds; an American father travels to the ‘Camino’ in France to recover the body of his son. However, two hours later and I was transfixed by the idea of walking really far, in a place you didn’t know, as a way of cleansing the soul. I don’t know if it was the catchy soundtrack, the emotional storyline, or the Jimmy Nesbitt cameo, but I was hooked. I decided I was going to walk the Camino – and I was dragging my Dad, brother and uncle down with me. Tradition holds that it is in in the Cathedral of Santiago de Compostela, in the Galicia region of north-western Spain, that the remains of Saint James the apostle are interred. Whatever the historical truth, it is evident that the interest in walking the Camino for religious, health or even spiritual growth reasons has grown exponentially. In 1985 just 690 pilgrims walked the route, compared to an impressive 237,886 in 2014. It is one of those things that receives a mention in many people’s bucket lists, and walking the route truly is a memorable and stimulating experience. 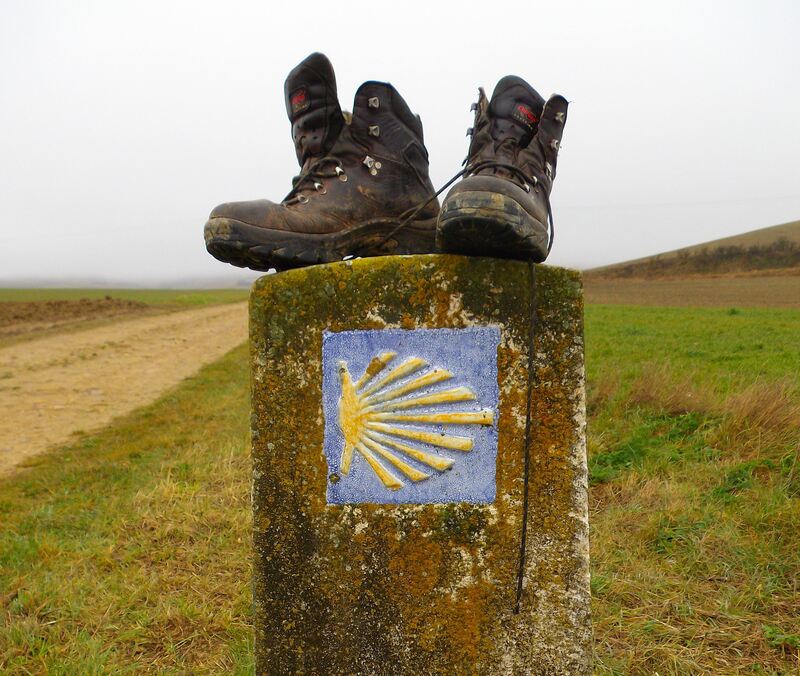 In order to obtain the ‘compostela’ or certificate of accomplishment given to pilgrims on completing the Way, one must have either walked the final 100km or cycled the final 200km. Sarria is a popular starting point for walkers given its ideal location (113km from Santiago) and good bus and rail connections. It was from there that we started off on the long walk into the unknown. 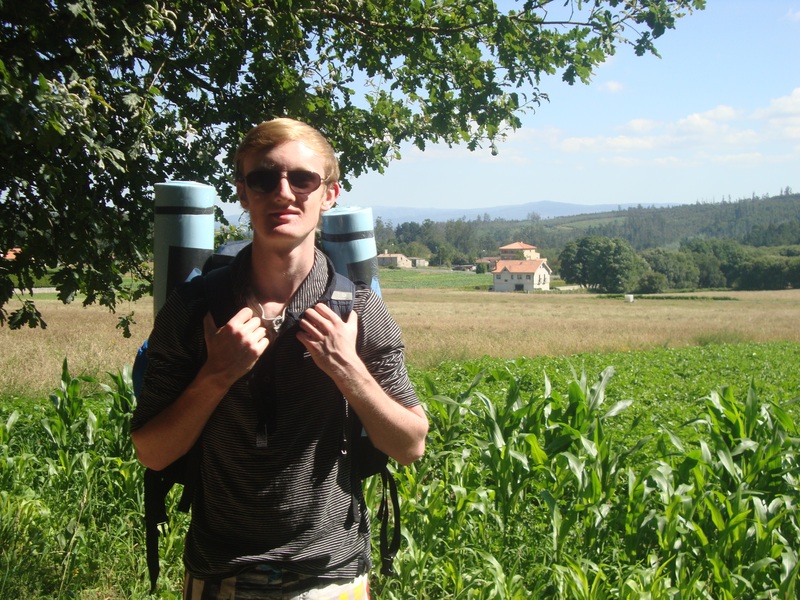 My detailed (and often frivolous) diary entries from my time in northern Spain provide a good insight into the many emotions experienced by those walking the Camino. I noted that the captain of the flight on the way over remarked just after take-off that there were a “couple bumps scheduled along the way”, however I had no idea that that was perhaps a foreboding or prophesying of the journey that lay ahead. Accommodation along the Way comes in the form of albergues which are essentially pilgrim’s hostels with dormitory beds that dot the various Camino routes. Prices range from around 5 Euro to 12 Euro per night, and for a good night’s sleep and a shower you really can’t complain. The essential pilgrim’s backpack, aside from the obvious, should contain a credencial or pilgrim’s passport, which can be obtained from the Irish Society of the Friends of St James in Ireland before your departure date. Not only will this serve as a sentimental souvenir, you use it as proof that you walked the required 100km by getting it stamped with sello in bars, restaurants and albergues as you go. Another essential is the scallop shell – many tie these to their backpacks as they walk and they are said to have religious connotations. The scallop shell is the true symbol of the Camino and the grooves in the shell, which meet at a single point, are said to represent various routes pilgrims have travelled over the years before arriving at the ultimate destination – the Cathedral of Santiago de Compostela. An unlucky date for some, hopefully not for us. I really feel like Martin Sheen now. It seemed like a ‘communal arising’ at 7.30am – got up, face washed, time to get breakfast or ‘desayuno’ and get a good walk under way. 113km to go. First impressions of the walk – spectacular crops of sweetcorn and barley, stone houses and an impressive road-bridge. Fresh country air mixed with the generic greeting of ‘Buen Camino’ has everyone in good spirits. 104km to go. Feel good, have my pilgrim’s staff and shell, now I look the part. Beautiful dusty roads and open fields, cloudy but very mild. Not exactly Pamplona’s ‘Running with the Bulls’ but had a close encounter with 5 Spanish bulls and an elderly couple leading them along the road. 100km mark and a psychological barrier passed. 87.5km to go. Countryside dotted with fields and Alsatian dogs with ears propped sitting nonchalantly – they wouldn’t be so quiet if we hopped the fence into their territory. Hawks circling menacingly overhead. Portomarin to Gonzar – a difficult trek, not as many good views as before (much of it along a main road), and rained quite heavily to top it off. 7pm and the end of Day 1 of walking: my feet are tired and shoulders are aching. Made very good progress though, walking 34.5km. 77.5km to Santiago. 2am after Day 1 of walking. Slept for a bit but sharing a room with around 20 other people makes it difficult to get much shut-eye. The orchestral snoring is incredible – even my younger brother decided to join in, but his involvement was brought to a swift end with a friendly slap. Instead of counting sheep I’m counting the number of ways I could kill that worst snorer two beds down from me; or perhaps a nasal castration would suffice? Have walked 14km so far today to Palas de Rai – tough going on the shoulders and legs. Eating in a restaurant here with ‘Final Countdown’ playing in the background egging us on. Not even halfway yet though so could be a false sense of security. 65km to Santiago! What a day! Mammoth day’s walking: 44km walked today in total. Think we must be crazy. The legs are really struggling now – on the bright side, only 39.6km left to Santiago and 2 days to do it. Hopefully we’ll arrive before the noon Pilgrim’s Mass in Santiago Cathedral on Monday and then we can relax until our flight home on Tuesday evening. Walked through Ligonde, a beautiful ‘back in time’ farming village, and got to splash our faces at a water-fountain in Boente. Dad was struggling for a stretch of the route today – I wanted to keep walking as thought we could reach the village of Arzua (10km further on but led Dad to believe it was 3km). Thought he was going to have a heart attack at one stage and he felt like getting sick. Would I have been done for manslaughter I wonder? Got sunburnt. Sitting in a restaurant ‘only’ 18km from Santiago in Pedrouzo. Have walked around 24km today so good progress again. Weather today the best so far – blistering sun all day and lovely blue skies. Sunburn getting worse but the pain in my legs is distracting me from it. Beautiful views this morning on the far side of Arzua from the hills overlooking the town. Can smell the streets of Santiago at this stage! Beautiful walk with wide-open fields between Pedrouzo and Labacolla. Walked past the Santiago airport runway. Kept walking to Monte do Gozo where we stayed in a Polish-run hostel named after Pope John Paul II. My sunburn and legs might need some divine intervention alright. I am writing this from an albergue in Santiago de Compostela! We walked the final 6km or so from Monte do Gozo to the Cathedral this morning. Impressive views of the city as we came into it. Most of the final stretch spent walking through the streets of Old Town Santiago. Enticing aromas emanating from the bakeries as we trudged past, with the ancient domes of the Cathedral looming large on the horizon. Very majestic city; streets quite narrow with archways protecting shops and shoppers from the sun. Streets full of souvenir shops, restaurants and hostels. Food has been very cheap along the way – three-course meals (including a tea/coffee) for as little as 9 Euro at some points. Hard to believe that’s it over. Yes, there were will be tough moments and yes your legs will be crying out for medical attention. However, there are so many reasons why walking the Camino de Santiago is a life-changing experience. Not only do you get to meet many people from all over the world and get some exercise, you simply get away from it all for a few days. Away from college assignments, away from humanity, away from technology and all that comes with urban society. One thing that undoubtedly brings many people back to the Camino a second or third time is the chance to see rural Spain up close and experience the Galician culture. You will learn to love the distinctive farmyard smell and begin to appreciate the little things in life – things like a shower at the end of the day, a cold bottle of beer, an ice-cream, even a bed. It will test your endurance and every day will be typically unpredictable, with the albergues an ‘any room at the inn’ job. The kilometre markers will keep you going and the sense of achievement upon reaching Santiago at the end is unparalleled. The Camino is essentially a case of one step at a time, knowing there will be tough days and better days, and in that sense the Camino de Santiago can be said to mirror the journey through life itself. So go on, stop thinking about it and just do it. You know Martin Sheen would be proud. For more information on the Camino de Santiago visit http://www.stjamesirl.com.